Maile Meloy's debut novel, Liars and Saints, captured the hearts of readers and critics alike. Now Meloy returns with a novel even more dazzling and unexpected than her first. 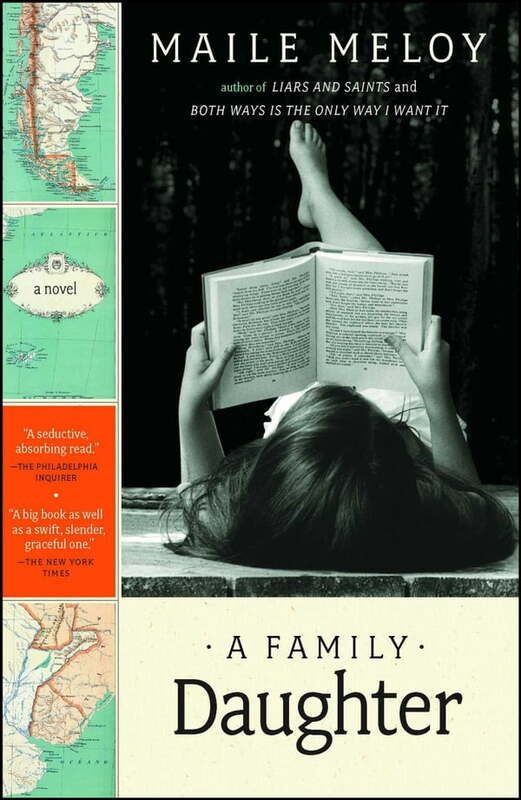 Brilliantly entertaining, A Family Daughter might also be the most insightful novel about families and love that you will read this year. It's 1979, and seven-year-old Abby, the youngest member of the close-knit Santerre family, is trapped indoors with the chicken pox during a heat wave. The events set in motion that summer will span decades and continents, change the Santerres forever, and surprise and amaze anyone who loved Meloy's Liars and Saints. A rich, full novel about passion and desire, fear and betrayal, A Family Daughter illuminates both the joys and complications of contemporary life, and the relationship between truth and fiction. For everyone who has yet to meet the Santerres, an unmatched pleasure awaits.